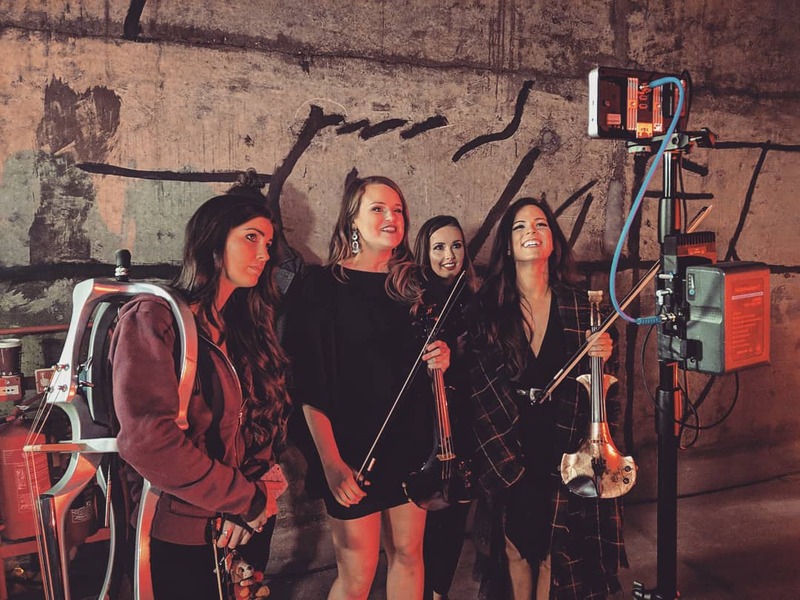 In the summer of 2018, we were approached by violinist Jessie May Smart to produce a music video for her electric string quartet, ‘Vesper.’ She’d found us online and watched through some of our previously produced music videos and short films. 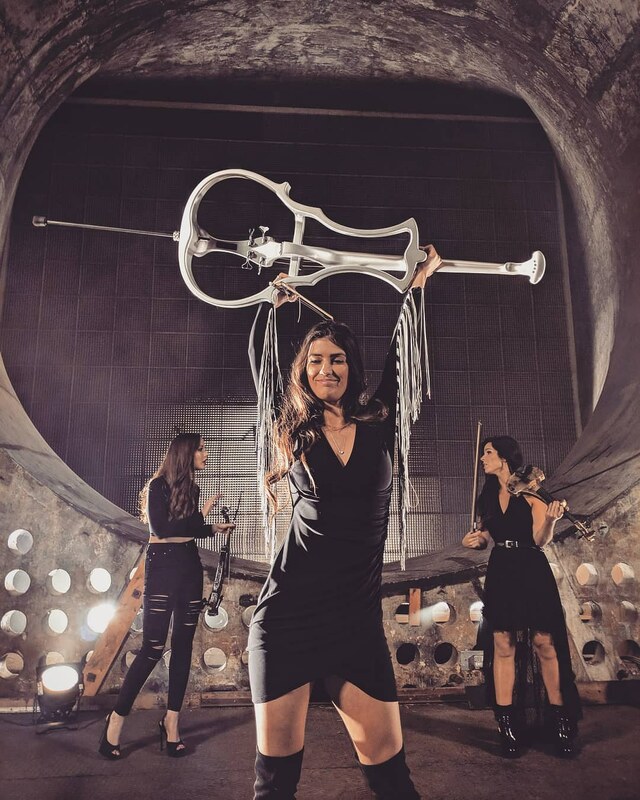 The purpose of the project was to showcase the band’s versatility and draw in new potential clients. Jessie had already produced a studio-recorded mix containing parts of 4 popular tracks which was provided to us at the development stage. As the recording was a locked mix containing 4 very different songs, we suggested filming the quartet in 4 different scenarios to help break it up into ‘moods’. For each song, a different style of direction, choreography, lighting and camera movement was applied. We avoided a narrative because we felt it would distract from the purpose of the film. 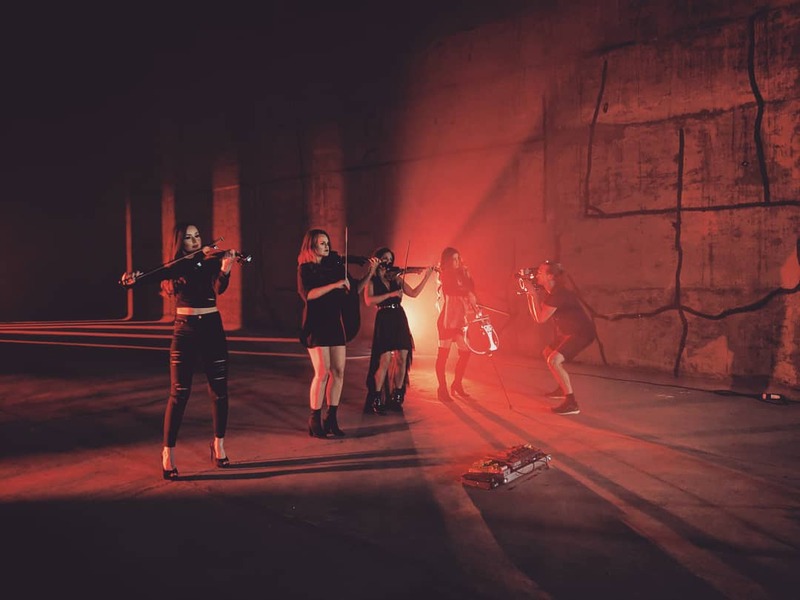 Jessie agreed that due to the song choices made, the video should feel somewhat ‘epic’ for the budget, so we made the decision to shoot in a large industrial space on our FS7 cameras and Canon CN-E prime lenses. Big lighting and smoke effects provided by gaffer Pete Carrier were used to bring out the character of the venue (which was previously made to look like a testing facility in the X-Men films). 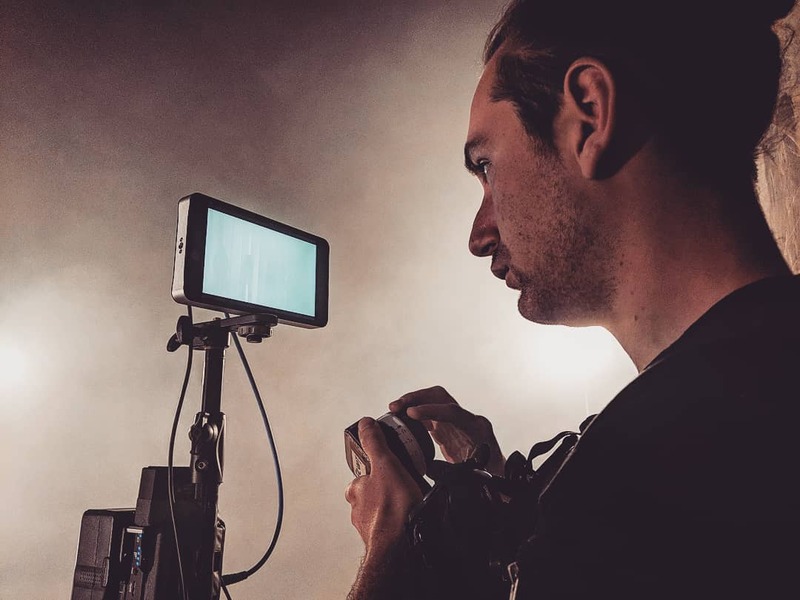 We also hired our regular Steadicam operator Nathan Claridge, who took on cinematographer duties. The film was shot over one afternoon/evening (1pm-12am) as we needed the venue at its darkest for the lighting to work. Fortunately, the room featured at the beginning and end of the film is always pitch black, so we shot those scenes first while the lighting crew set up the next location. 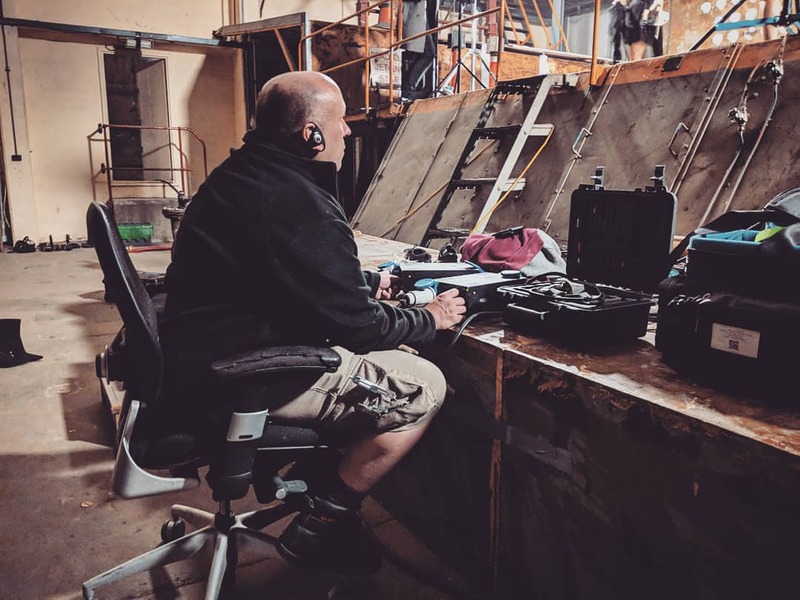 It was important that we stuck to schedule as a lot of the hired in kit and crew as well as the location itself would be too expensive to re-hire for pick-ups (as is often the case with music videos and short films). We needed enough material to keep the pace of the video flowing, so we purposefully built in a one-shot scene as I knew this would save us time on location. In order to sync sound and picture, a countdown was recorded on camera, along with playback timecode for the track at the beginning of each shot. While this usually works a charm on music videos, the venue was so huge that the echo caused a short delay between the amp and the ears of the performers, so some tweaking was still required in post, with help from Jessie and Hollie, who joined us for some of the editing. In the edit, the film was split into 4 sequences and edited separately before bringing it all together towards the end. The final sequence (Knights of Cydonia by Muse) was the most tricky, as well as the most time consuming on set, as we’d shot it handheld from various angles to keep the energy up. Finally, the project was brought into Resolve for grading. We’d always approached the film as though it were four videos in one, so we gave each scene a slightly different colour scheme so the mood of each scene was different, but it still felt like it was part of the same project. “No Magnolia were a dream to work with, from the very first phonecall to the finished product. They were enthusiastic about our vision, and came up with really innovative ideas and techniques to push beyond it. The whole team are lovely and a joy to work with. We worked most closely with Neil, who was creatively brilliant, and in whom I had complete confidence (and rightly so). The shoot day was organised immaculately, and was a real pleasure, and the editing is all so impactful and tasteful.